Shanna Marcelino cannot think of beer the same way ever again. Marcelino’s beer experiment isn’t one where you’d want to do a taste test. Her supervisor provided an IPA and a Shiner Strawberry Blonde that were past their best-by dates to examine the not-so-pleasant side of beers, like a metallic taste or a skunky aroma. “Anything that is unsatisfying,” said Marcelino, who is also pursuing a concentration in biochemistry. The reason for the experiment is to show different uses for the gas chromatography mass spectrometer. She’s working a poster about her research that could be shown at a future expo or conference. Marcelino is getting hands-on experience using the gas chromatography mass spectrometer, including troubleshooting. At Frostburg, she was introduced to that instrument and was taught how to read results on a chromatogram, readying her for the internship. Marcelino initially had an interest in forensics before the internship, but that might have changed now. 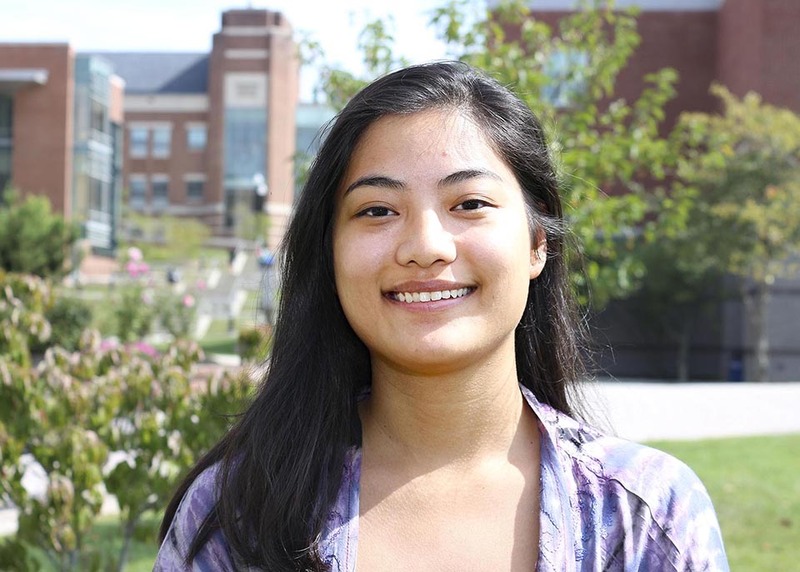 “I feel like I’d want to work for a scientific instrument manufacturing company, because you’d get to do all these different applications and any project you’d want to do,” she said.